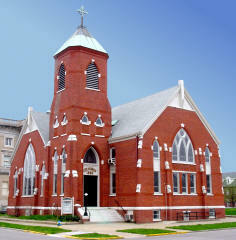 According to the Organ Historical Society's online database, an organ by an unknown builder was in this church prior to 1910. 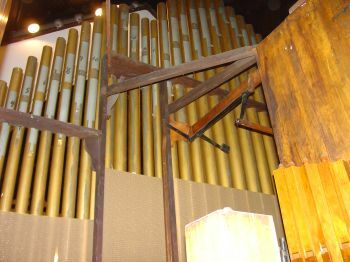 This organ was moved to St. Paul (Col'd) Episcopal, Atlanta, GA in 1911, after Central purchased Pilcher Op. 710 in 1910. 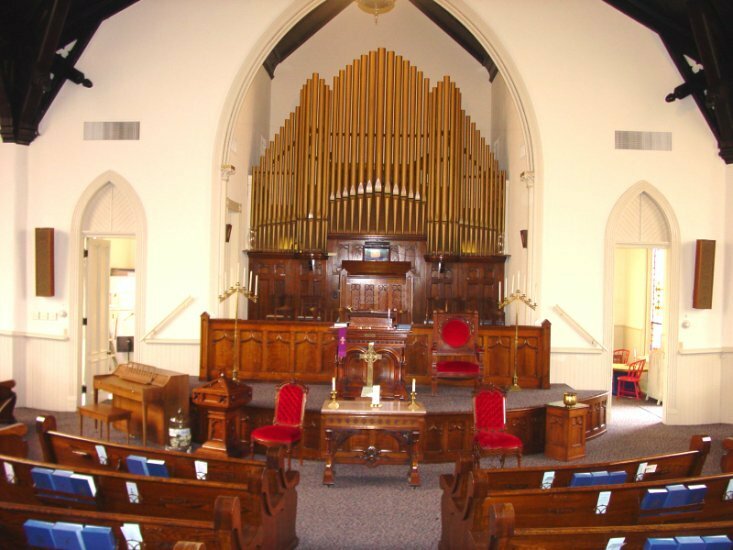 According to a written church history of Central Presbyterian, an organ was installed in December of 1909 by the Henry Pilcher Co. of Louisville at a cost of $1,825 (perhaps it was commissioned by the church in 1909, or begun that year, and completed or dedicated in 1910). 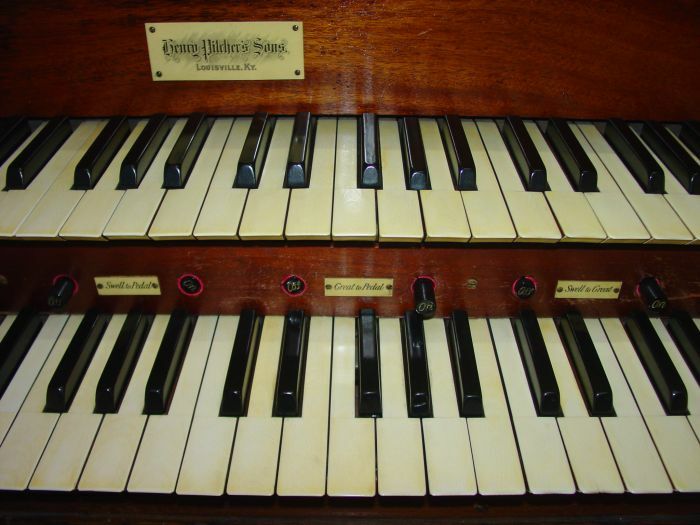 Henry Pilcher's Sons (1910, Opus 710). 2 manuals. 9 stops. 9 ranks. 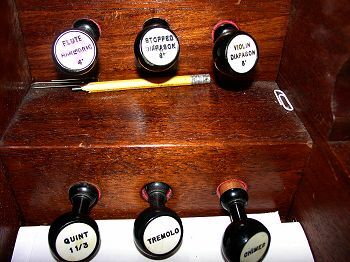 A Quint 1-1/3' stop was added in more recent years. 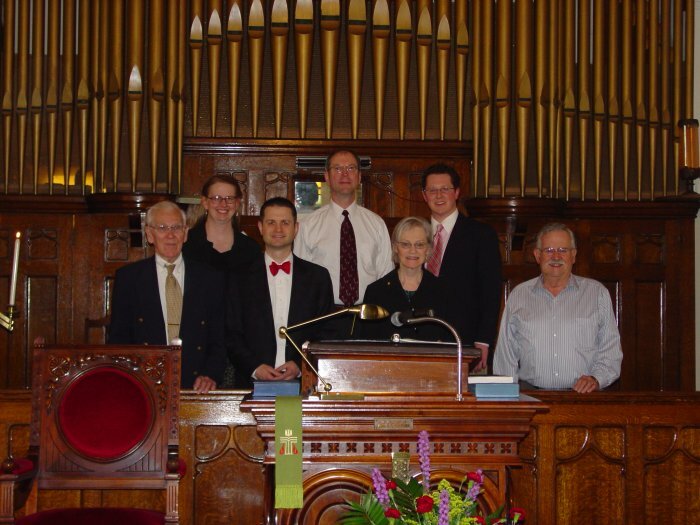 Members of the Evansville Chapter of the American Guild of Organist visited the Pilcher organ at Central Presbyterian on an organ crawl in October 2002 and reported in the chapter's newsletter: "The group then went on to Central Presbyterian Church and heard the refined and delicate tones of an early 20th century mechanical action organ built by Henry Pilcher & Sons, Louisville....surely a significant historical musical treasure." 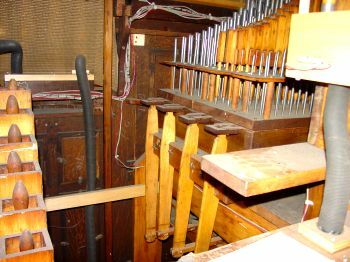 The organ was to have received a thorough cleaning from the Miller Organ Company in the Spring of 2009 according to the Miller website. 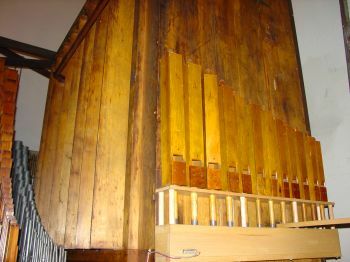 The Evansville Chapter of the American Guild of Organists, in conjunction with the congregation of Central Presbyteria Church, held a centennial celebration in honor of the instrument on January 24, 2010, consisting of a concert and reception (see performers above, and sound clips from the concert below). 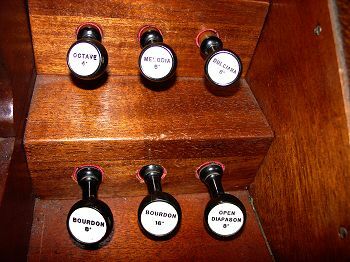 Dr. Emil Ahnell is the organist at the church as of 2010. 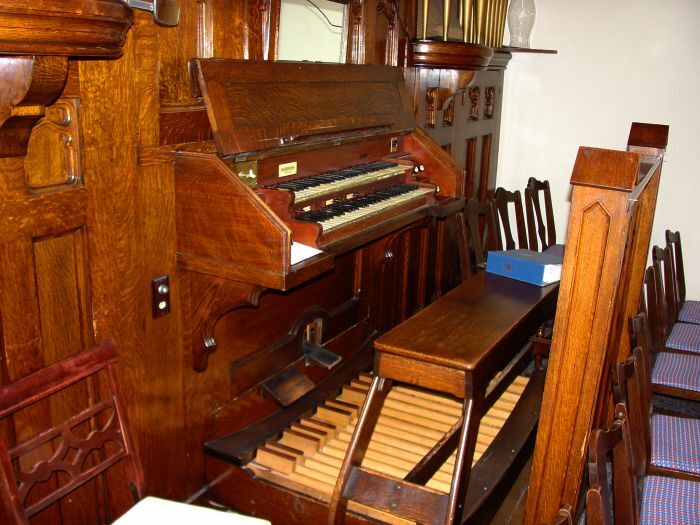 Click here for more on the Pilcher organ company. 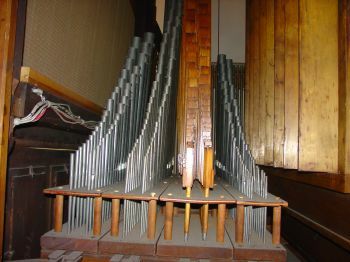 Interior photos and sound clips by Neal Biggers made on March 23, 2009, with assistance by Emil Ahnell.